1. Light up the night in bright fashion hot style with the help of our motion activated LED foam sticks! 2. 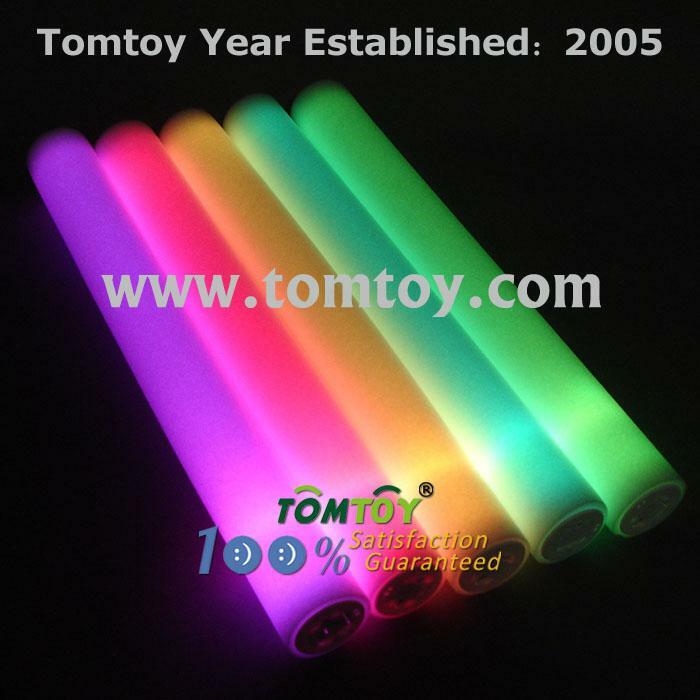 This fabulous light up foam batons makes a great party favor or prize for birthday celebrations, Bar Mitzvahs, school spirit events, and other special occasions and is the ideal item for nighttime vending, rock concerts, sporting events, dances, and carnivals. 3. The LED foam wand features red, blue, green LED lights in the base that illuminate the 16-inch Lumiton to create a fabulous and festive light show! 4. Can be activated by motion, set your light up to flashing, color changing and watch your friends' faces light up in wonder as the LED foam wands light up the night! 5. Each motion sensor led foam sticks comes with 3 AG13 batteries included and installed.